Athletes from all sports from soccer to hockey to basketball base their training on improving the strength of their core using compound movements. That’s great for professional athletes but what about everyone else? What about girls who just want to get a flat stomach? Everyone is different; some may get a flat stomach from solely working the belly to exhaustion while others may get their abs to pop without a single situp. But to train the core effectively, it comes down to the three planes of motion: frontal, sagittal, and transerve. Doing abs exercises in a circuit style keeps the intensity high and will likely lead to more fat loss. 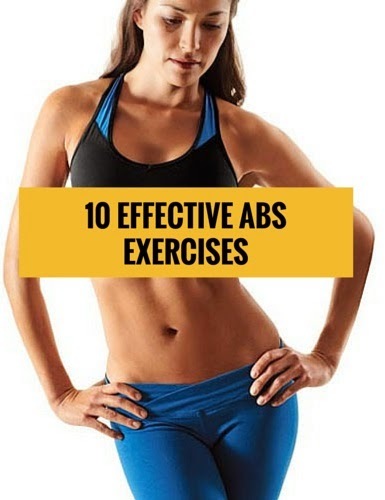 Regardless of where you fit on the fitness spectrum, these 10 abs exercises will be the last guide you’ll ever need.